A perfect 65 degree ellipse: Not too narrow but certainly not aspiring to be a circle. Solid, hand carved maple finished in matte, zinc gray. Bright and antique brass details. A wash of translucent gold on the surface of the pure white lampshade. 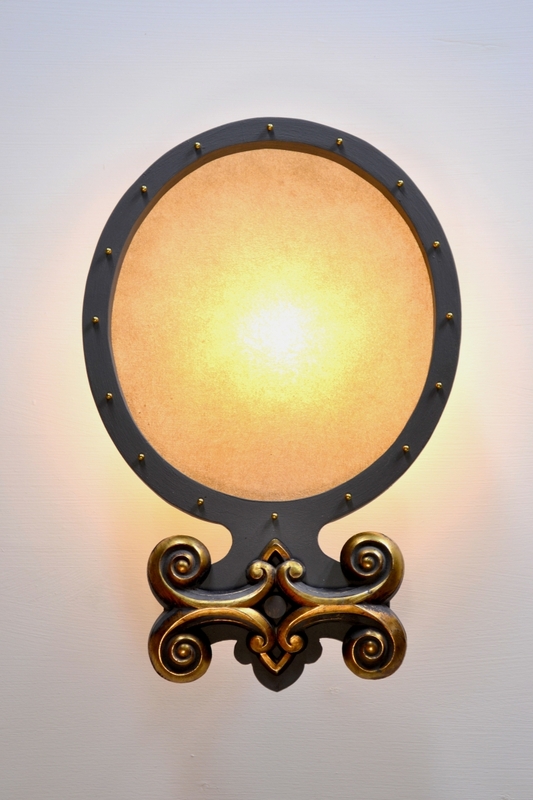 The lamp creates a halo of light all around the wall. Perfect styling for bath or vanity. ***As in all of our designs, the wood frame, lampshade and metal details may be specified to duplicate any desired colors or finishes.